Private jet charter Quebec City from Jet Charter Canada, your source for 24 hour private aviation services across Canada, North America, and around the world. Quebec City, set atop cliffs that overlook the Saint Lawrence Seaway, is the capital of the Canadian province of Quebec, and home to around 700,000 people. It’s the only city in North America outside of Mexico and the Caribbean with its original city walls, and its Old Town is listed as an UNESCO World Heritage Site; dating back to 1608, it features a fortified colonial center, Vieux-Québec and Place Royale, set along stone buildings and narrow streets. 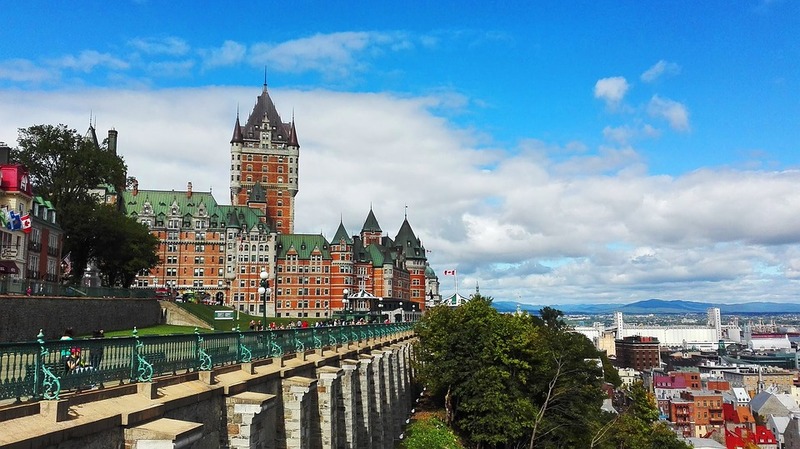 This is also the site of the towering Château Frontenac Hotel and imposing Citadelle of Québec. The Petit Champlain district’s cobblestone streets are lined with bistros and boutiques. Call or email Quebec City Jet Charter to get an amazing deal on private jet charters in Quebec City, Québec. Our team arranges private flights to/from Quebec City with on-demand air charters in as little as 4 hours notice. Our private jet services extend across North America and around the world, with free, no-commitment quotes, competitive aircraft pricing, and no fees, memberships or hidden charges. Call +1-888-987-JETS (5387) for pricing and availability on private jet charter flights in Quebec City, Canada. Take advantage of the local attractions and daily activities during your next visit to Quebec City. Make sure to research all the local options before booking your private charter flight. Request a FREE charter quote by calling us at 1-888-987-5387. Enjoy direct access to private jets, turboprops and airliners based in Quebec City, Canada, complete with all-inclusive quotes, competitive hourly rates, and the highest levels of safety.